Make Skype calls without Skype? Following recent news that eBay has sold the leading internet telephony service Skype to a group of private investors for a cool £1.9bn, it looks like plans are already in place to develop a platform to better open up Skype to third party developers. 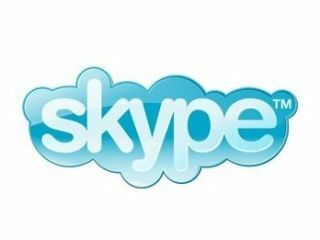 The news follows the announcement earlier this month that Skype was closing its Skype Extras program. "It was a tough decision, but we want to assure the community that we focus our time and resources on initiatives that delight our users and help our partners create innovative products for new markets," writes Skype exec Antoin Bertout on the Skype Developer blog. "While the Extras program didn't work as well as we'd hoped, we still believe there are opportunities for third-party developers to enhance the Skype experience. We'll keep you posted." TechCrunch have been speaking with Skype exec Jonathan Christensen who reiterated the company's position with regards to third party devs. That report notes that the "Extras announcement is not about Skype backing away from a robust developer platform" but instead that, "Skype is focusing on a next generation platform that will hopefully address the deficiencies of the old program and open many more opportunities for developers to build on Skype services." The suggestion is that Skype will release a software development kit (SDK) that would allow "developers to integrate deep into Skype and make calls over the Skype service without opening the Skype client." Which would mean that third party desktop apps would be able to make Skype calls directly, without the user having to open a Skype client on their computer. Interesting stuff, for sure. Although right now this is all speculation as to where Skype might take internet telephony in the future. TechRadar has contacted Skype's UK office for further information on how this 'next generation' version of its developer program might work. Stay tuned for updates. The sale follows reports that Skype founders Zennstrom and Janus Friis were locked in a licensing dispute with eBay over key aspects of Skype's VoIP tech. For more on the recent eBay sale of Skype head over to TechRadar's recent news.